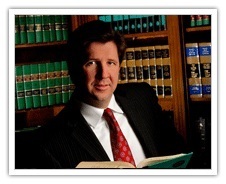 Published on: September 9, 2014 | J. Bradley Smith, Esq. The county still wants to move forward with the ban. The initiative is being spearheaded by Mecklenburg County Health Director Marcus Plescia. He said smoking is Mecklenburg County’s greatest health hazard. County commissioners will vote on the ban on Sept. 17. I am a criminal defense attorney, and my professional experience tells me many people will not follow the rules. Many people will smoke, chew tobacco and use electronic cigarettes in prohibited spaces, even if commissioners pass their ordinances. Then what happens? North Carolina’s anti-smoking law provides that violators shall bear “no consequence other than payment” of a 50-dollar fine. I believe offenders will still end up with criminal charges as a result of the ban. A concerned citizen will spot (or smell) a smoker, dipper or vapor-inhaler using a banned item where he is not supposed to, and will call the police. The police will arrive, ask for the offender’s identification, write out a citation and order the offender to either stop offending or leave. Not everyone will stop offending, not everyone will leave, and that is where criminal charges will arise. And that brings us to the overarching policy question: How much freedom should we give up in order to combat smoking? Should we give up the right to do things other than smoking such as chewing, dipping or inhaling vapors from electronic cigarettes, because Marcus Plescia says so? On July 17, 43-year-old Eric Garner was accused to selling “untaxed cigarettes” outside a New York convenience store. After confronting him, police took Garner down. One officer administered what appeared to be a chokehold. Garner died. Over untaxed cigarettes. Freedom is a hard thing to define. I’ve heard thinkers much smarter than me describe freedom as a vapor, as something a person can only accurately define after one is deprived of it. Perhaps those who have the clearest ideas about freedom are those who have been imprisoned. I’ve met more than a few people who have served time. Meeting them makes me reflect on the philosophical underpinnings of criminal punishment. Rules, laws, infractions and offenses should serve a good purpose. Many times, however, they fail to serve their purpose and instead become impediments to a free society. Many schoolteachers have told me student achievement (or lack thereof) more accurately reflects what is going on in a student’s home life than what is going on in the classroom. In general, I agree, and these sentiments reflect what I see day in and day out in the criminal courts of North Carolina. Many people who are swept up in criminal cases or who end up charged with criminal offenses may concede they made bad choices. Of course, not everyone charged with an offense is guilty, and sometimes both the facts of a case and the charges that result from a set of circumstances are far too complicated to be described in any general terms. But so often it appears that people—young and old alike—were never taught the very basics of human decency and respect. Many people do not respect themselves, do not respect other people, and do not respect the environment around them. Examples abound. Go in any public restroom anywhere in Charlotte. Walk the streets on any given day. Drive the public roads. You are certain to experience your share of indifference, ill will, and plain old rudeness. Is it the State’s job to cure this? I think not. I believe it is our job as We the People to establish and maintain a civil society. Many times, however, it seems like the only place people are being taught to be civil is at the courthouse, and there they are told to be civil or else. That’s not a nice way to learn simple lessons. More and more, however, we are delegating the regulation of our personal, private behavior to government officials. Instead of educating ourselves about the dangers of smoking, educating our children about these dangers, making good choices for ourselves and teaching young people to make good choices, we rely on the county health director to push a ban.